California: The Expedition 42 crew closed the hatches to the Dragon commercial cargo craft Tuesday after loading it with critical gear and research. 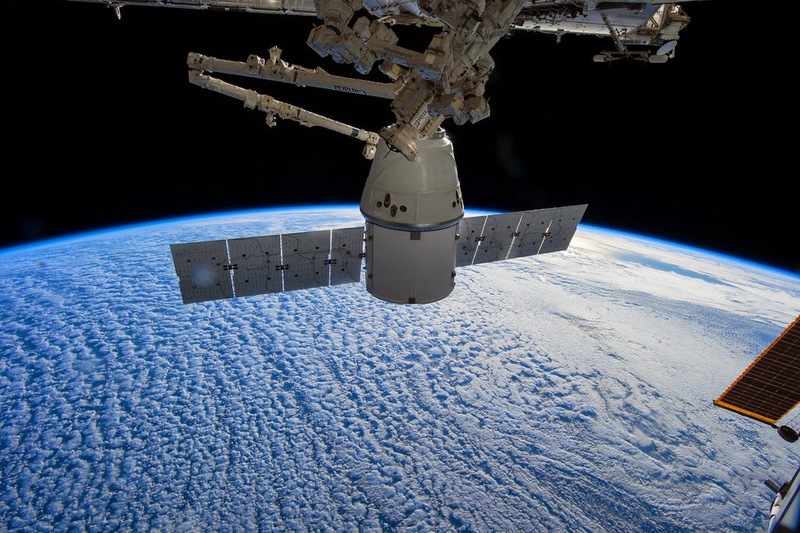 Dragon will be unberthed from the Harmony module then released from the grips of the Canadarm2 this afternoon. It will splashdown off the Pacific coast of Baja California for recovery by SpaceX engineers a couple of hours before sunset. Meanwhile, a trio of cosmonauts worked in the Russian segment of the International Space Station on their set of science investigations. They studied ways to locate punctures caused my micro-meteoroids on the Russian side of the station; they looked at the behavior of charged macroparticles inside a magnetic trap; they also explored crew training methods using interactive 3D manuals, or virtual manuals. Another resupply spacecraft is counting down to its undocking from the space station this weekend. Europe’s Automated Transfer Vehicle-5 (ATV-5) is set to undock from the Zvezda service module Saturday for a fiery deorbit over the Pacific about two weeks later. Italian astronaut Samantha Cristoforetti installed internal cameras inside the ATV-5 that will record its breakup during the reentry. Engineers will use this data to understand the mechanics of a deorbiting spacecraft.